Creating stand designs that make an impact. Exhibition stand graphics provide the finishing touches to your stand and any displays, ensuring that your branding, brand colours, company messages, logos and images will stand out to anyone passing, even on busy show floors where messages can often get lost in a sea of colour and words. That’s why eye-catching artwork and superior graphics are fundamental to the success of your stand. 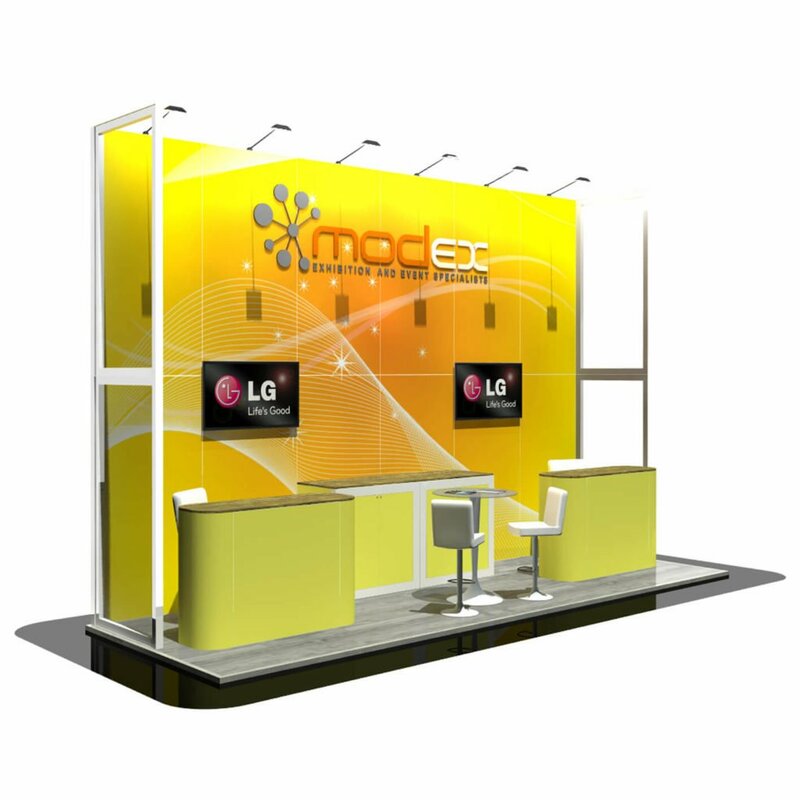 With their intimate knowledge of designing exhibition stand graphics and the modular framework, and the use of cutting-edge design and print technology and laser-guided cutting techniques, our design team can bring your vision to life. Stand artwork and customised graphics are charged at a fixed rate which can be discussed with our sales team and will be included in your proposal. All of our exhibition graphics are created in our in-house design studio and produced in-house, ensuring that you receive stunning exhibition graphics that transform a plain background into bright and colourful custom branding and designs that catch the eye and attract visitors to your stand. If you intend to create your print-ready graphics, that’s not a problem. We can provide you with a template and a panel layout document which illustrates where on the stand each panel is located as well as a set of self-explanatory guidelines. Browser our work for design inspiration. There are also several articles within our blog which may be of help.